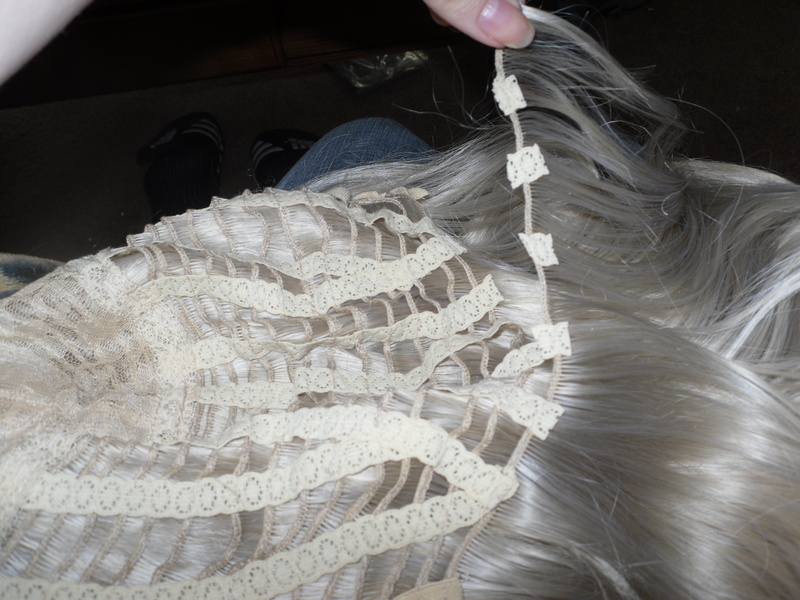 Sewing wefts to your wig! So you’ve cut apart a wig for the wefts, dyed them, and now you’re ready to sew them into your wig as needed. You can add wefts to a wig for multiple reasons; to make it thicker, longer, or if you need to style the wig half up or in such a way that if you left it as is, you could see through the wig. Materials needed: curved needle, scissors, thread that matches the color of your wig, pins, wig head, and your wig and wefts. 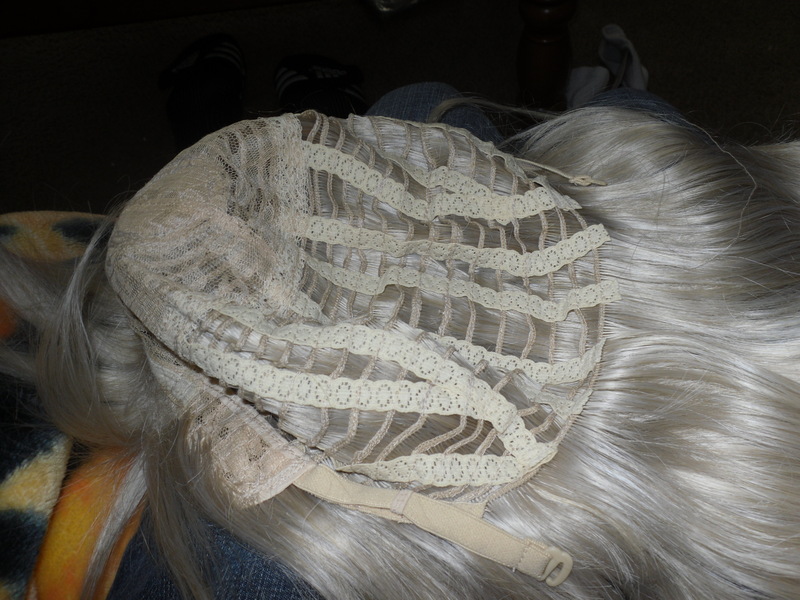 You may also want to get some hair clips so you can clip the hair of the wig up while you’re sewing on the wefts. I’m adding wefts because I need my wig to be able to have a braided headband look, a half ponytail in the back, and two pigtails hanging down out of red orbs behind the ears. 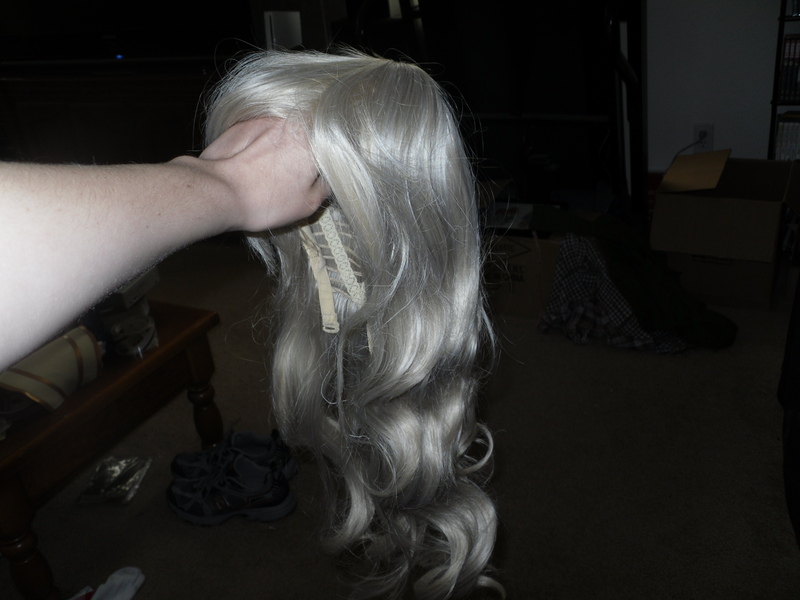 I’m only going to show how I add on the wefts in this post, but later on I’ll make one on how I styled the entire wig. Is there a wig that you need for an upcoming cosplay in a color that you just can’t seem to find anywhere? It’s okay, I have your solution! 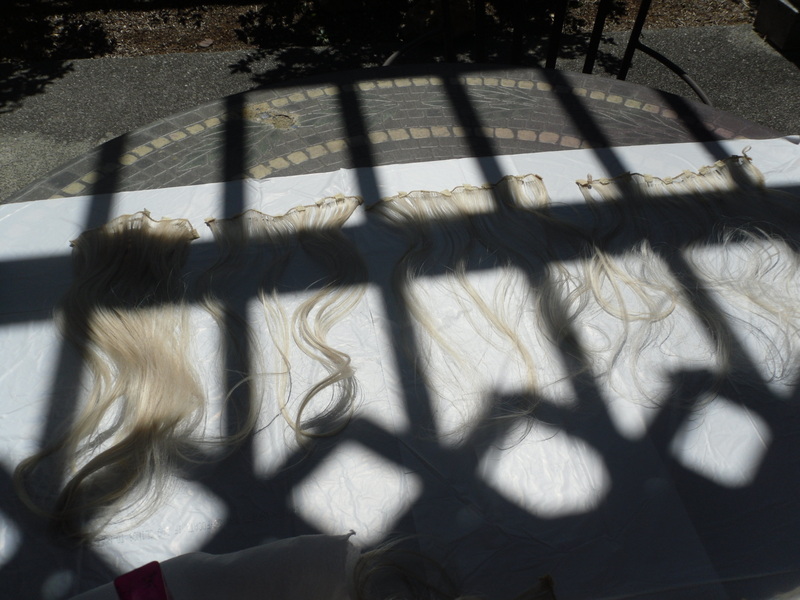 Just find a blond or white wig in the right style that you’re looking for, and dye it! 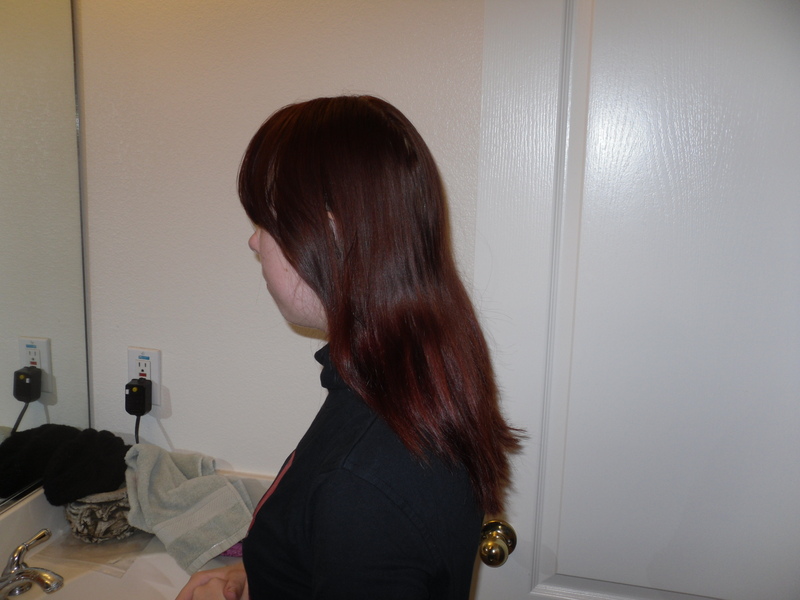 There are several methods that I know of for dyeing a wig. The first is the sharpie method, where you harvest the ink from several sharpies and dye your wig with it. The second is the FW ink method, where you use FW ink, which is an acrylic ink, and mix it with alcohol and use that to dye the wig. The last method is using Katie Blair’s wig dye, which is easy and premade for you, but can be expensive if you’re dyeing a very long or thick wig. I prefer the FW ink method.